When you train, do you spend significant time working with who you are training to show them the ropes, help them pick up the nuance of the politics, culture, skills, and operating style of the workplace? Or do you hand someone a manual, send them on their way, and hope they do a remarkable job, exceeding all expectations, while being a stunning example for all others to follow? When you search for talent, is it a blind hunt? Or do you turn to your cultivated pipeline of talent that has already been infused with institutional knowledge? Companies, like those last night at the U.S. Chamber of Commerce Foundation reception on Building the Workforce of the Future, understand that within their walls lies a tremendous amount of institutional knowledge and human life experience. They understand that the best way to educate the workforce of today, and the workforce of tomorrow is to leverage it. 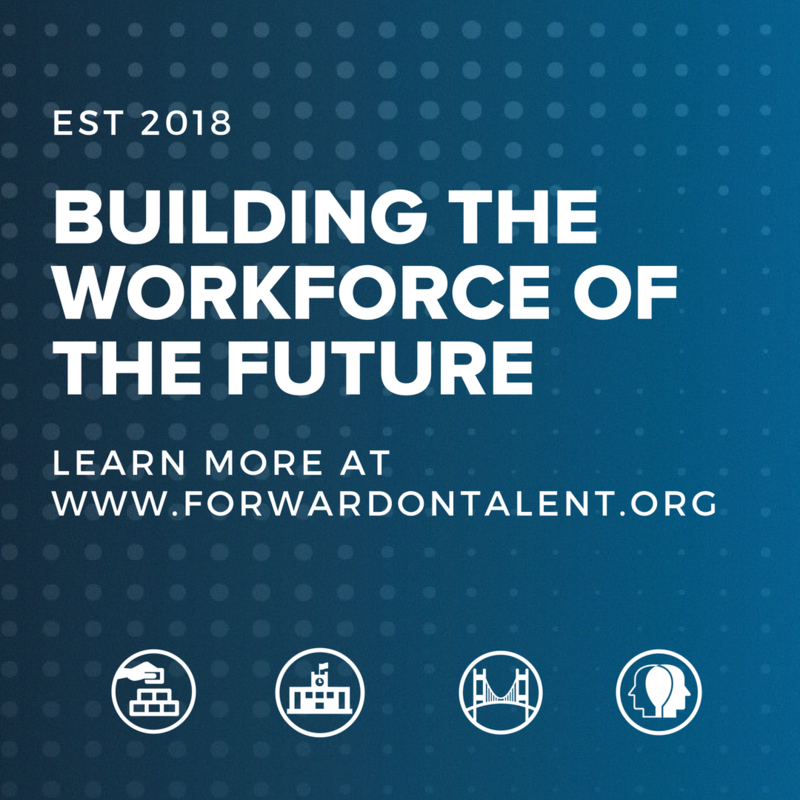 They are the employers engaged in initiatives leading the way towards closing the skills gap, and building a talent pipeline directly aligned to shifting and changing business needs. As we are encountering a rapid and exponential change in our world due to technology, that need for attention paid to upskilling and training practices in the workplace grows exponentially. We are seeing younger workforces with different needs from past generations of employees. We have seen consumer technologies influence professional businesses in unprecedented ways. We are living in an incredibly different time than 11 years ago. Why 11 years? The iPhone was introduced on June, 29th 2007. Before this date, most people did not think about developing an app for every problem that arises. Did you shift your product strategy for mobile audiences? Did you think about how effective and efficient training your entire workforce on a mobile device could be? But ultimately did you think that every employee could be carrying a mini-supercomputer with advanced communication, visualization, and artificial intelligence capability in their pocket? Today, almost 11 years later, we live in a vastly different world where our mobile devices are loaded with sensors, cameras, graphic engines, and lasers -- the tools that enable computer vision to detect an object or track a surface in AR. Pop the same mobile device in a low-cost VR headset, and you can transport them to a remote jobsite, put them in front of a new machine, have them work virtually with teams around the world, or have them practice risky tasks in a safe and repeatable environment. By enabling artificial intelligence (AI) tutors and chat bots, you can create dynamic training environments that adapt to test your trainees’ understanding and situational awareness in real time. Say you put your trainee in a customer relations scenario with a voice enabled AI chatbot. You can both train for procedures and best practices, as well as simulate edge cases, such as an abusive customer or understanding what behaviors could lead to fraud. This accomplishes two things; it helps evaluate how your trainee is progressing, while allowing them the opportunity to demonstrate their problem-solving and soft skills. The largest job growth sector in the US is Solar Photovoltaic Installers* (104.9% projected growth 2016-2026, US DOL). What are the skills they will need to know, and what scenarios will they need to understand? How much of this can be borrowed from other trades? Electricians, architects, engineers, fleet maintenance, and riggers are examples. What simulations could employers use to best evaluate and train potential workers? What about the soft skills such as collaboration, problem-solving, and work ethic? And think about developing workplace safety tools, including VR training tools for risky scenarios such as training an iron worker to walk on the high steel 30 stories in the air on a construction site, or maneuvering a forklift through a crowded warehouse environment. The military, aerospace, and aviation industries have known about the effectiveness of these tools for decades, now is the perfect time for other industries to catch up. The tools are ready and affordable. By dipping a toe in these waters and exploring the future of training, companies like Toyota and Honeywell are unlocking institutional knowledge and gaining important insights about what works and what doesn’t. We can learn a lot from the training experiences they have identified as ripe for deployment in AI, VR, AR, and across other technologies, to assist with developing quality training, delivered reliably, safely, and at scale. Training an Industrial Workforce in Minutes: With a combination of augmented reality (AR) and virtual reality (VR), Honeywell Connected Plant Immersive Competency delivers an innovative and effective learning method to build a strong and sustainable workforce. Honeywell simplifies the training process to help close the skills gap and empower industrial workers while improving plant performance and safety. A Virtual Workforce and Client Education: Toyota Motor North America is employing virtual reality (VR) to educate their headquarters employees about new vehicle production. The use of VR creates learning opportunities that were previously cost prohibitive, enables employees to consume training as their schedule permits, and as such greatly reduces training budgets. Toyota has proven that VR, augmented reality (AR), and mixed reality (MR) are an effective means to deliver training in a simplified manner to effectively train and build a strong and sustainable workforce.